Today I bring you the bestest little muffins. 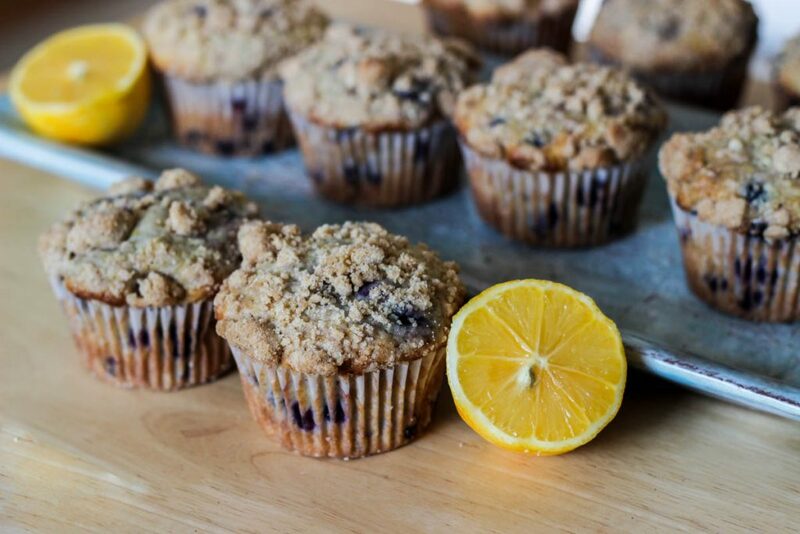 Blueberry muffins are something I actually hated growing up. I had this whole aversion to cooked fruit. 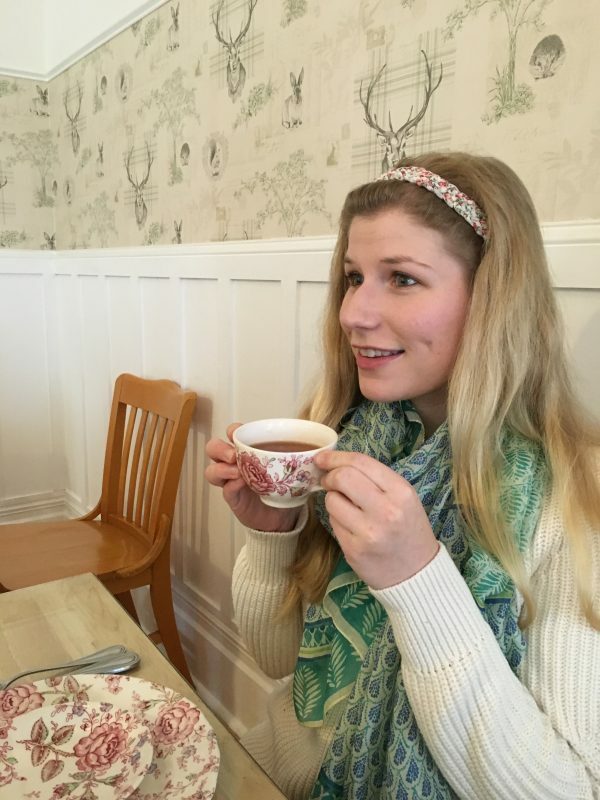 I wouldn’t even eat jam unless it was homemade– and even then it was never my first choice for toast. I’m very glad that I’ve grown out of that phase. 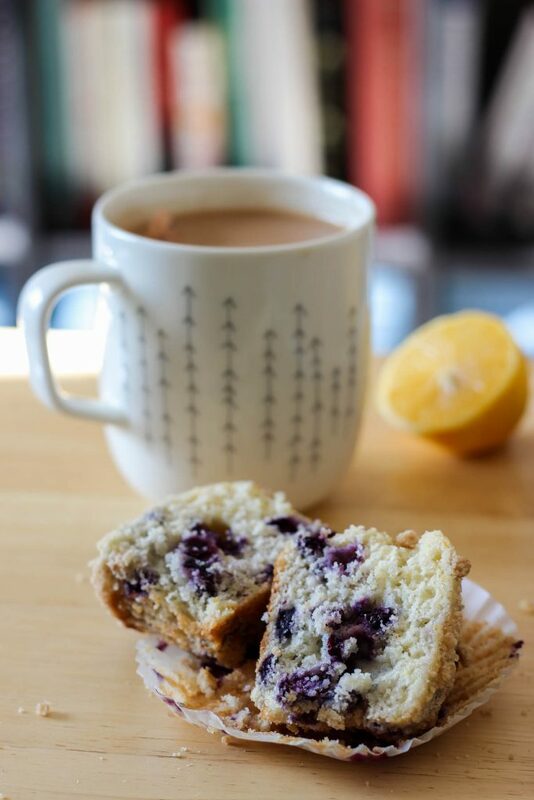 Some of my favorite bakes are fruity ones now! 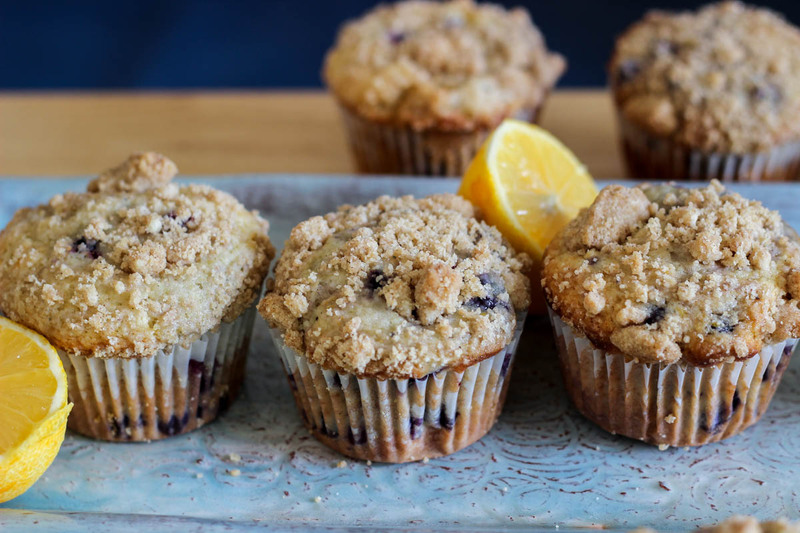 Classic blueberry muffins with fresh lemon zest are the perfect morning treat. Crumble: In a small mixing bowl, combine the sugars, cinnamon, and salt and whisk together. Slowly pour in the melted butter and whisk until incorporated. Then add the flour, and mix with a rubber spatula until it just combines. 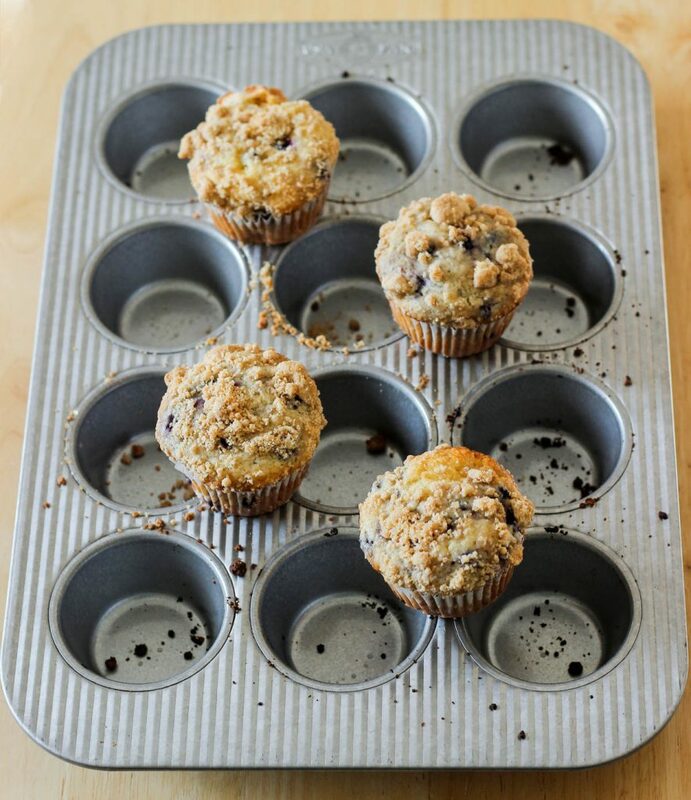 Spread out on to a baking sheet, and squeeze some of the bits together with your hands to create large crumbs. 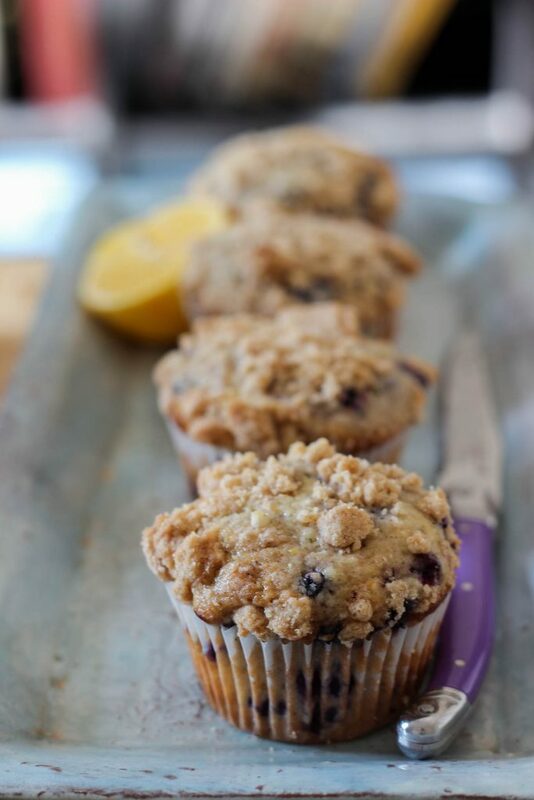 Allow to firm up in the fridge while you make the muffins. 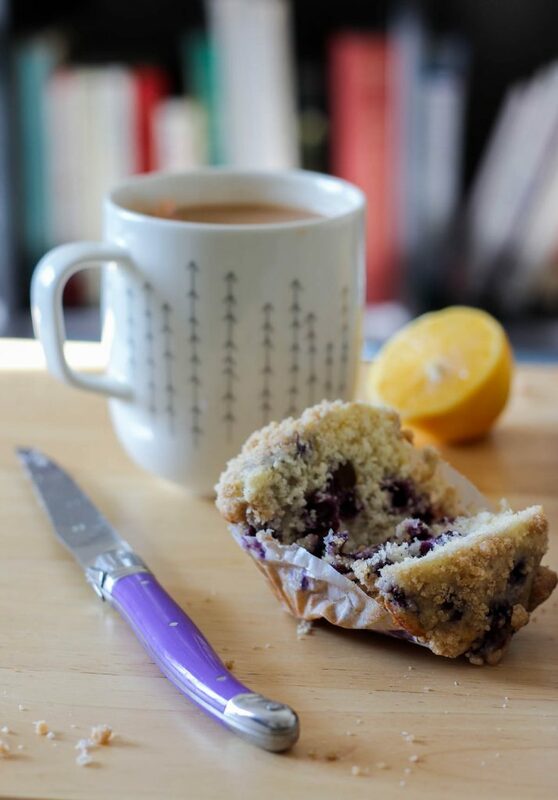 Muffins: In the bowl of your stand mixer, beat the sugar, butter and lemon zest until light and fluffy. Beat in the vanilla, salt and baking powder. Scrape the bowl down with a rubber spatula. Alternate adding the yogurt and flour until you have a smooth batter, scraping it down again. Fold in the blueberries by hand. 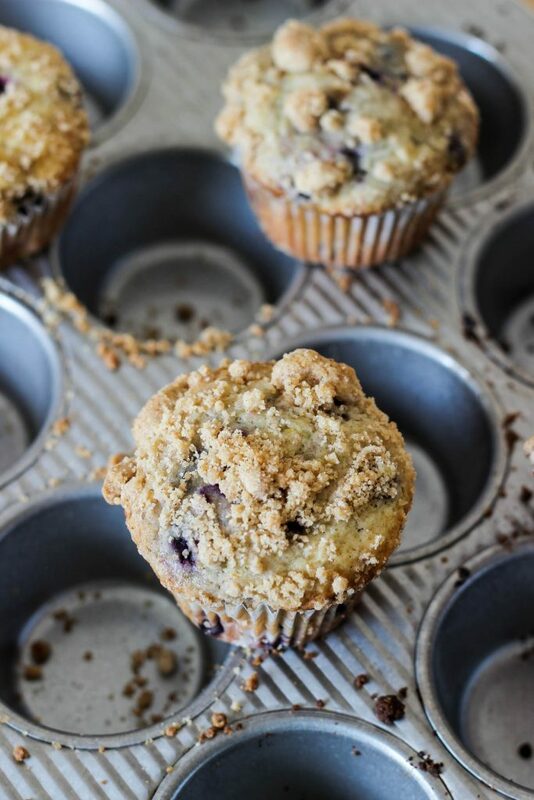 Scoop the batter into the muffin tin (about 1/4 cup of batter in each), and top with the crumb. Bake for 20-25 minutes until a toothpick inserted comes out with a few crumbs on it. Frozen berries: If you're using frozen blueberries, rinse them in a colander until water runs clear through them. Let them drain completely (dab with a paper towel too!) so they don't turn the batter blue. Topping: If you want to skip the crumb topping, feel free to use a sprinkle of turbinado sugar on top instead. 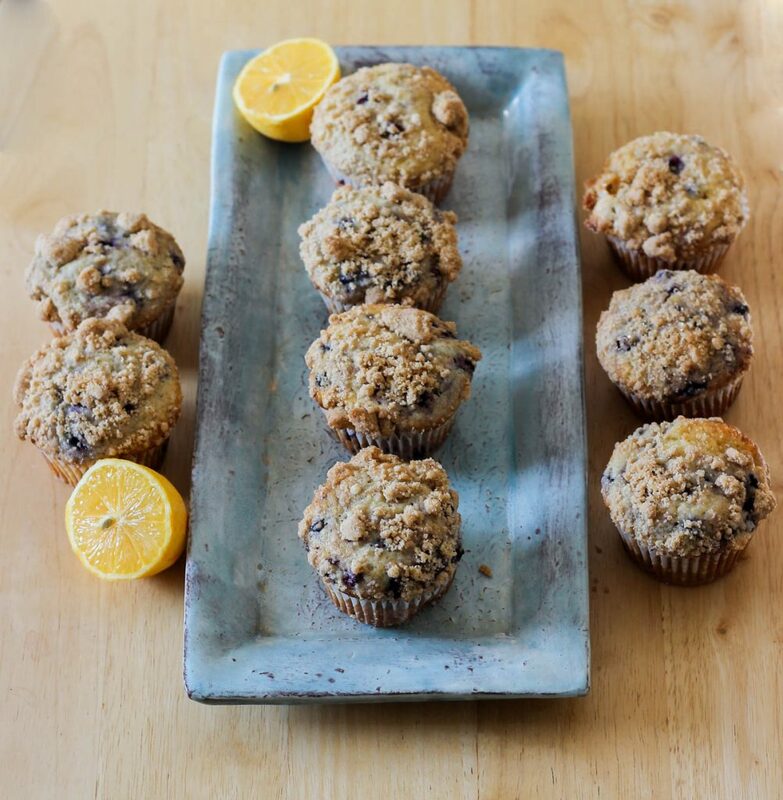 Freeze the muffins: Store your muffins in an airtight container or ziploc, and freeze for up to a month. 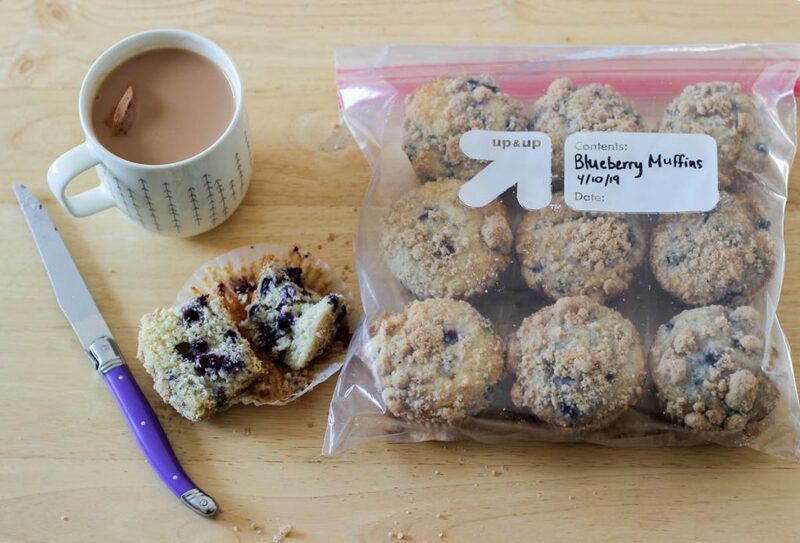 Just put them in the microwave for 30-45 seconds to thaw for breakfast on the go! These are so great because you can make a big batch of them and then stick them in the freezer! 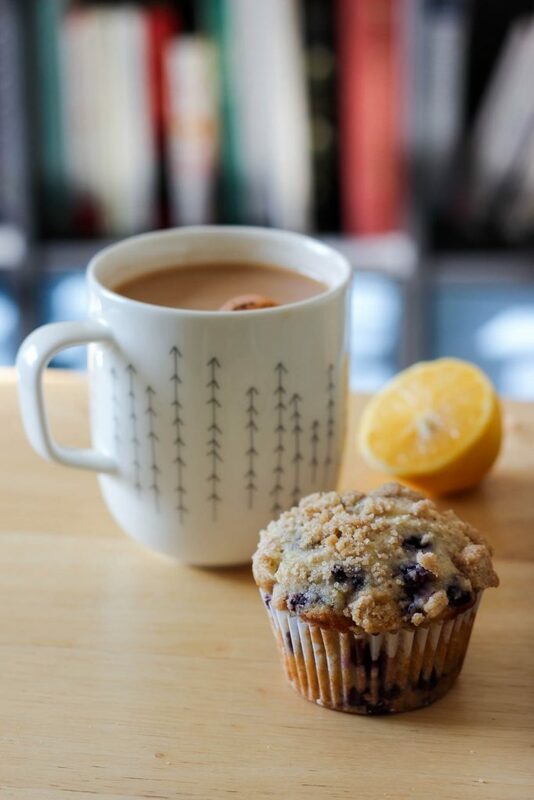 Grab one on a busy morning, zap it in the microwave and you’re good to go. Love! Gonna go eat two now.